TANGO Newsletter #2 TANGO Toolbox Beta version! Our goal in distributing this newsletter is to share details about the main technical activities going on in TANGO project. 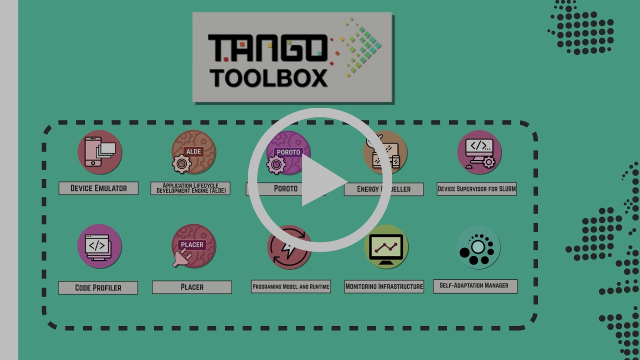 We want to share with the academic, research and scientific communities, state of the art knowledge in the field of how to better exploit and embrace heterogeneous architectures in software life-cycle, based on the progress made by our technical team in our quest to release a number of cool technologies and tools that we are releasing in what we call #TANGOToolbox. The main goal of TANGO is to simplify and optimize the development of software applications that require to deal with heteogeneous hardware, considering features like energy efficiency and performance, among others. In order to easy and graphically show what TANGO does and how does it do it, we invite you to watch this professional video. We are proud to announce that the second release of our toolbox is here. This Beta version release is comprised by a more mature version most of components that have been released under the open source #TANGOToolbox. Beta version is focused on providing the necessary software to perform profiling of time and energy performance to obtain static benchmarking information on applications run on a heterogeneous hardware architecture in order to provide some examples of use of our tools several scenarios and the related workflows of tools are described also here. All components can be used independently or in integration with other components to approach different situations, as are shown in these examples. Each tool is accompanied by a readme file with the description of the component, installation guidelines for developers and users, and a video tutorial. Visit our website to access the full description of components, its open source license and links to download our software in www.tango-project.eu. TANGO is organizing a workshop in the next HiPEAC Conference at Manchester to promote the Heterogeneity Alliance, the joint initiative launched by TANGO one year ago to engage projects and organizations interested in heterogeneity challenge. TANGO initiative is focused not only on developing great tools to deal with heterogeneity, but also to spread the word and get in touch with others involved in developing software that uses heterogeneous hardware or the ones that create software tools for them. The workshop objective is to present the vision and activities of the Alliance for Heterogeneity of HW & SW supported by several EU projects (SHARCS, EcoScale, PSocrates, Hercules, RAPID, TANGO, Vineyard) and other organizations, coordinated by TANGO Project. January 22 is the turn of #Heterogeneityalliance, under the sign of "Better Together" the goal is attract new members for the Alliance and reinforce and proof the power of the Alliance in terms of capability of tools and activities plan. The HiPEAC 2018 will be the perfect atmosphere wher curious people can approach to us, listen, share and discuss about next generation of applications, innovation, development and the development of new tools for the market. The HiPEAC conference is the premier European forum for experts in computer architecture, programming models, compilers and operating systems for embedded and general-purpose systems. 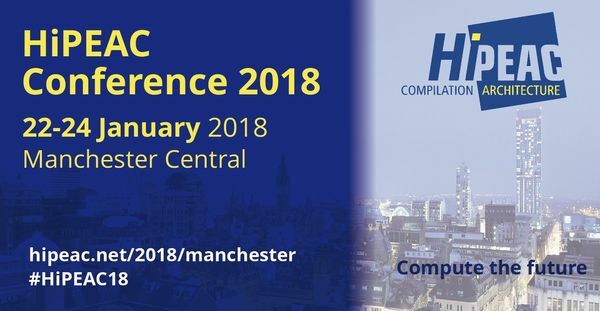 The 13th HiPEAC conference will take place in January in the city of Manchester (UK) from Monday 22nd to Wednesday 24th, 2018. Associated workshops, tutorials, special sessions, several large poster sessions and an industrial exhibition will run in parallel with the conference. More info at www.hipeac.net/2018/manchester/. The Heterogeneity Alliance is growing and providing first tangible results!!! The Alliance focused on the heterogeneity challenges launched by TANGO project is continuously increasing the number of members by engaging other EU projects and institutions interested and working in this field. Currently, 9 research projects and 4 academic and industrial organizations are engaged to the Alliance. Besides, the Alliance is starting to provide first results. First version of a high level architecture has been proposed to address the challenge for the software to tackled the heterogeneity of hardware. At the time to depict the architecture, two important aspects have been identified: applications and platforms on which these applications run. One approach towards an architecture to support a diverse range of applications running on heterogeneous hardware is the consideration of an hour-glass like model. To support such approach, the initial technological areas that the Alliance has considered for supporting diverse applications running on heterogeneous hardware are divided into three layers: layer 1 that includes technologies for designing and creating applications; layer 2 that includes all middleware technologies; layer 3 that includes technologies, emulators, compilers and execution environments that deal with different underlying infrastructures of heterogeneous hardware at macro and micro level. The architecture will be live and it will evolve with the time being to cope with all requirements introduced by the upcoming Alliance members. In parallel, a catalogue of open source tools is being collected from all members. These tools map into the defined architecture layers to address one or more of functional blocks and solving some of the identified heterogeneity challenges. Additionally, the Alliance members are participating together in joint workshops (as the one mentioned above at HIPEAC 2018) and papers to promote the Alliance mission and activities. The Alliance members will decide the future of the initiative all together by the establishment of new steps and actions to be developed. If you share our interest, we encourage to join us at our web site! This section contains a technical brief of what embedded programming systems want to reach inside TANGO framework. 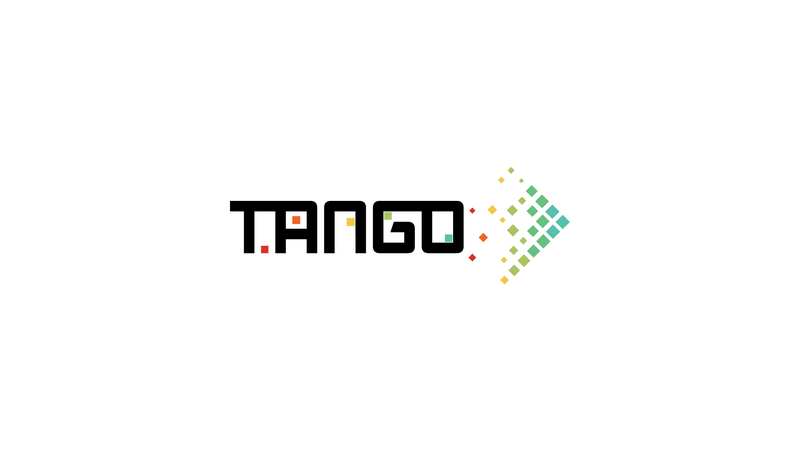 Thus, TANGO framework has a straight goal based on demonstrate the implication of TANGO and its framework into the embedded programming world as relevant to highlight. Parallel computing’s world have been suffering some changes in the last twenty decades. Nowadays, we can find not only computing centers but also parallel computing technology using in embedded and mobile devices. After the market changes and increases the number of improvements and innovative parallel processes have come then parallel computing become a seamless topic of discussion for developers. Linking to this whitepaper, you will see what was happening in the parallel computing world, concretely in embedded systems and applications. How is an embedded inner system works and how experts deal with it, what TANGO offers in this computing context and which tools are efficient on it, such as run time abstraction layer and using requirements and application. This section contains a technical brief of what are the limits that HPC sets up inside TANGO framework.The evolution in last years of High performance computing has brought a rise in terms of computing architectures, involving an increase of hardware and software complexity structures and work-flows. As an example, we are referring to more cores and number of cores per node, memory hierarchy and increasing need of energy. Many aspects to have in mind by developers, to create solutions and implement for the future challenges. In this paper, you will also find some use cases of TANGO project where mini applications condensed partial implementation of the HPC application of interest (weather forecast could be a field of implementation). The main objective to reach is the validation of TANGO Toolbox, verifying HPC workloads in different scenarios. Moreover, we want to experiment these HPC mini applications specialized for heterogeneous resources and energy consumption, in order to be aware if energy consumption and performance are doing optimally and efficiently.